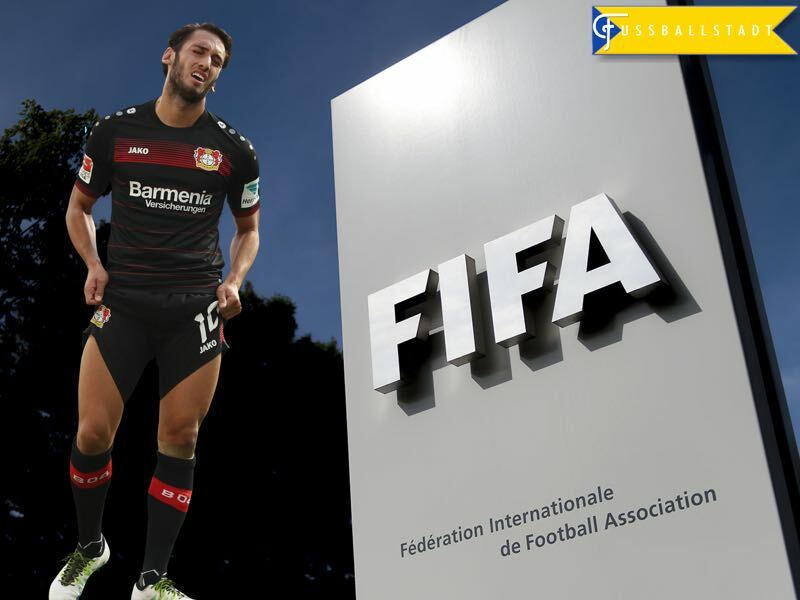 The Court of Sports Arbitration (CAS) has banned Bayer Leverkusen midfielder Hakan Calhanoglu for four months. The decision means that Bayer’s 22-year-old Turkish midfielder will miss the remainder of the season. CAS’s decision, thereby, ruled in favour of FIFA, which banned the midfielder for four months as a result of violating a pre-contract with the Turkish Süper Lig club Trabzonspor in 2011. At the age of 17 Hakan Calhanoglu had signed a pre-contract with Trabzonspor in the 2011-12 season while playing for Karlsruher SC. But then he decided to continue his career in Germany and signed for Hamburger SV, who then promptly loaned him back to Karlsruhe in the summer of 2012. Trabzonspor, responded by filing a suit against Calhanoglu, and demanded that FIFA ban the player from football. Now, six-years later, Trabzonspor have finally received “justice”, and Calhanoglu is banned from playing competitive matches for the next four months. In some ways, the decision against Calhanoglu is indeed unfair for Bayer Leverkusen. On the other hand, the club knew about this potential scenario when they signed Hakan Calhanoglu from Hamburger SV in the summer of 2014 for €14.5 million. In fact, one could even say that CAS’s decision to ban the player is a little piece of justice. 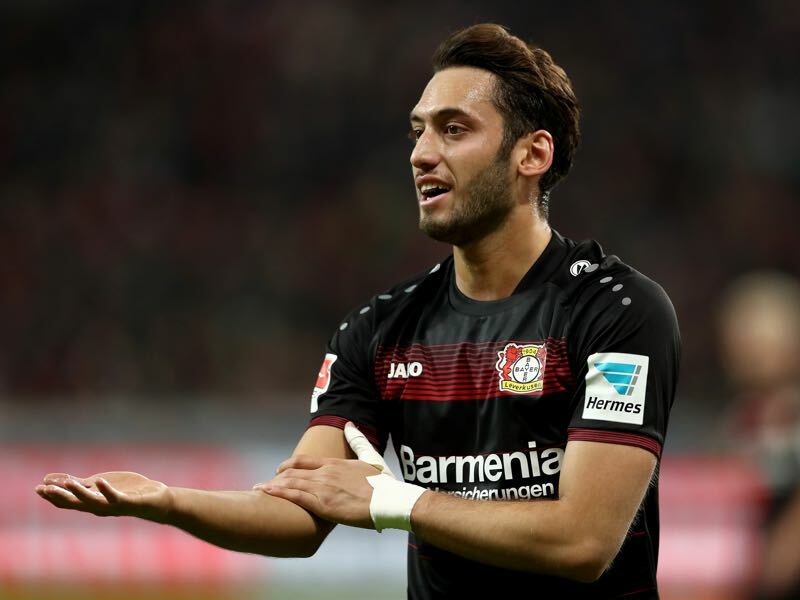 Those who followed Calhanoglu’s transfer from Hamburg to Bayer Leverkusen will remember that the Turkish midfielder more or less held Hamburg hostage in order to press through a move to Bayer. In January 2014, Calhanoglu not only extended his contract in Hamburg, but he also publically announced his love for the club. Calhanoglu was then one of the decisive players in Hamburg’s relegation battle, which ended when the club narrowly edged out SpVgg Greuther Fürth in the relegation playoffs. 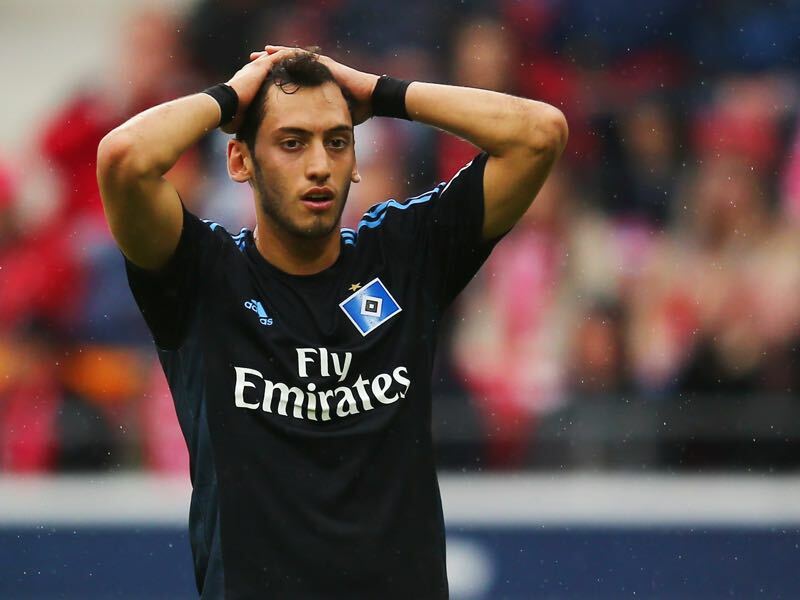 Calhanoglu was then supposed to become the new face of a Hamburg side ready to rebuild. But instead, Calhanoglu wanted to leave the Hansestadt and join Bayer Leverkusen, who had qualified for the UEFA Champions League that season. Hamburg, understandably, were reluctant to let the midfielder go. Calhanoglu followed through by presenting a medical attest which stated that he was mentally unable to continue playing for Hamburg. The entire maneuver was a farce, and a punch in the face for people who truly suffer from mental illness. Needless to say the travesty allowed Bayer Leverkusen to sign the talented midfielder from Hamburg—where Calhanoglu was not only found fit by doctors, but also mentally stable to play Bundesliga football. At the time Bayer was already aware that they might have landed a potential problem because Calhanoglu had not only held Hamburg hostage, he had also backed out of a signed deal with Trabzonspor. The move was a potential time bomb. It is, therefore, accurate when Germany’s 11Freunde writes that the punishment is belayed judgement for Calhanoglu’s earlier wrongdoings. How can Leverkusen replace Calhanoglu? For Bayer, this means that the club will now have to replace one of the club’s most important players. Bayer have recently signed the Jamaican wunderkind, Leon Bailey, who despite all his talent, is not without his problems either. Whether Bailey can step in, and replace Calhanoglu, however, remains to be seen. In essence, the two are very different players. Calhanoglu is a more central player, who can either play as a playmaker or in central midfield. Bailey is more of a left-winger, and, therefore, is less capable of replacing Calhanoglu in the centre of the park. What Bailey could do, however, is bring a creative spark that will certainly be missing in the next four months that Calhanoglu is banned. Meanwhile, other players will also have to step up, with the likes of Kai Havertz and the young Ukrainian, Vladlen Yurchenko, now expected to see more playing time. Can Leverkusen rally the troops? With all this in mind, the current debacle with Calhanoglu could further unhinge a club that is already in testy waters. But perhaps there is a silver lining here. With Calhanoglu gone, Roger Schmidt now has an excuse if results go against him—which could not only take the pressure of him, but also the squad. Finally, the dressing room could also develop an us against the world mentality, in which Calhanoglu’s personal misfortune could serve as a rallying point for the remainder of the season.